Viwogeo is an interesting idea to let you explore Second Life locations via a Google Map. Many of the locations on Second Life are recreations of real world places and Viwogeo makes use of this fact to geo-tag these Second Life locations on a Google Map. 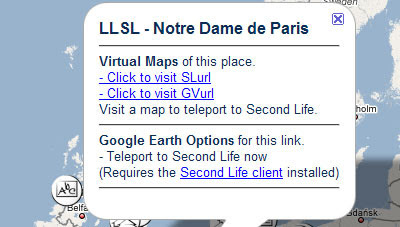 Clicking on one of the map markers opens an information window with links to that location on Gridaverse (see below) and a link that will teleport you straight to the location on Second Life. 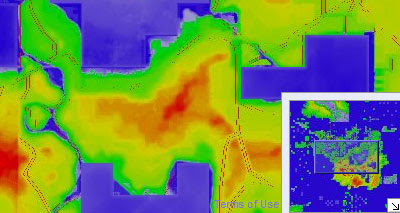 Gridaverse is a set of interactive maps that use the Google Maps API to present maps of Second Life. Using the maps it is possible to search for sims, land for sale and easily create GVURLs (a link that will transport you to a location on Second Life). Apparently there are a lot more features coming soon, including GPS and short GVURLs, with the ultimate goal of creating a search engine for all the different Metaverses on Second Life.